The Hunger Games trilogy came along just in time. The Harry Potter series had wound down and we needed some exciting reading material that would translate into the movie world. 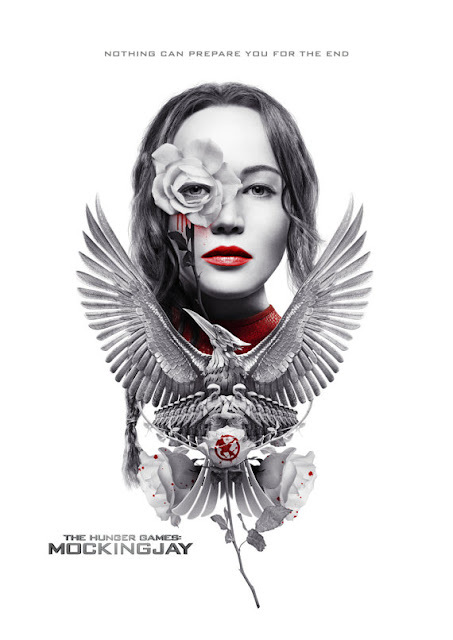 Author Suzanne Collins was kind enough to create the bestselling Hunger Games trilogy and Hollywood was only to happy to transform the riveting stories into movie form for us. Starring Jennifer Lawrence and Josh Hutcherson and a supporting cast featuring the likes of Liam Hemsworth, Woody Harrelson, Elizabeth Banks, Lenny Kravitz, Stanley Tucci, Donald Sutherland, Wes Bentley, Toby Jones, Alexander Ludwig, Isabelle Fuhrman and Amandla Stenberg, we were been presented with a movie spectacle worthy of The Hunger Games books. We looked for great merchandise choices featuring The Hunger Games and it was provided. Whether you are shopping for a tween, a teen or an adult who is enthralled with the world of The Hunger Games, you will find a top-rated Hunger Games gift idea for them here on this page. 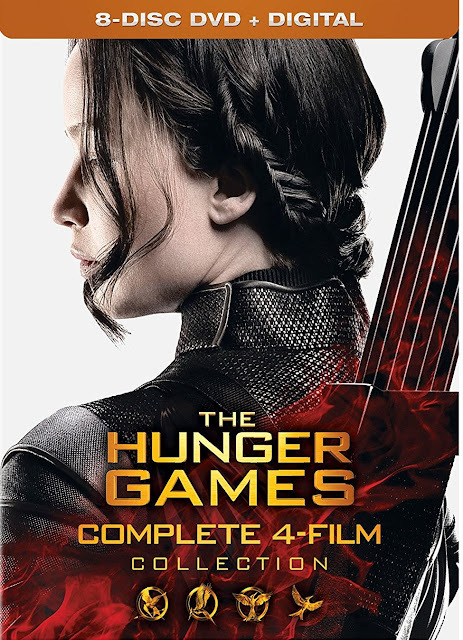 Of course, it goes without saying that every fan of the trilogy ought to own The Hunger Games and Catching Fire on Blu-ray disc or DVD! The set shown above can be found on Amazon by following this link. A coffee mug is something that everyone can use and I cannot imagine a gift that a Hunger Games fan would like more than one they can use every day. 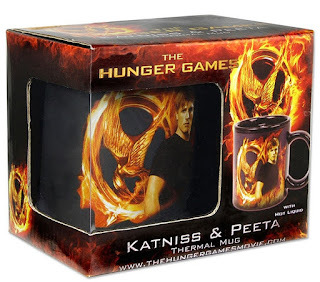 This Katniss and Peeta thermal coffee mug is a standard sized mug with a thermally activated changing image. When you add your favorite steaming hot beverage, flames appear in the black area of the mug, starting at the bottom and then working their way up. Find it here on eBay! Consequence of Sound called the soundtrack a nice curation. The Ottawa Citizen, my local newspaper, gave the soundtrack a very strong four stars and says, "There's no clear victor on this record, apart from the fan." 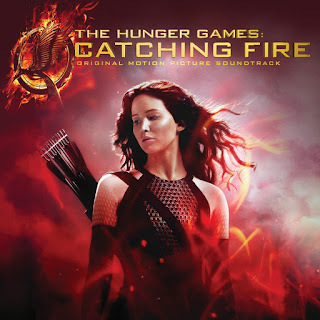 The movie soundtrack is available on CD or MP3. Note that there are two choices a regular edition and a deluxe edition though if you're going to buy this release, I'm not sure why any fan would settle for the first. You will find it here on Amazon. This set is a nice way to collect posters of your favorite characters from the movie. 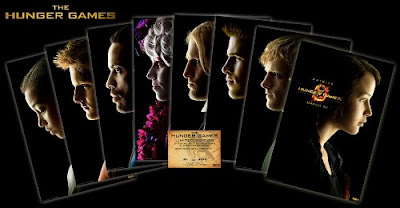 Included in this set of eight are Cato, Effie, Haymitch, Cinna, Gale, Katniss, Peeta and Rue. Amazon reports that only 2,500 of this poster set are being produced. Find it on Amazon here. 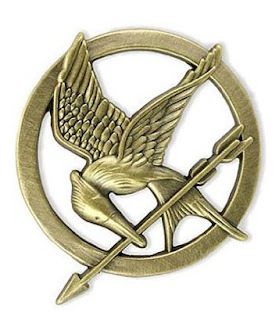 Every fan of The Hunger Games knows the significance of the mockingjay and will want to own a mockingjay pin. If you want to learn more about the mockingjay or you simply want to see a page full of mockingjay themed merchandise, visit this page. Meanwhile, if you are after a mockingjay pin, you will enjoy wearing this bronze mockingjay pin, which is available directly from Amazon and which is very affordable, too making it the perfect way to show your support for Katniss Everdeen. Find it here on Amazon. If you are looking for something to put on your wall, you might consider this Down with the Capitol poster by digital artist L. Dossey. Find it on Amazon here. Or you might consider this image which reads, Nothing Can Prepare You for the End. It is available affordably priced in four sizes from the artist on Etsy by clicking right here. 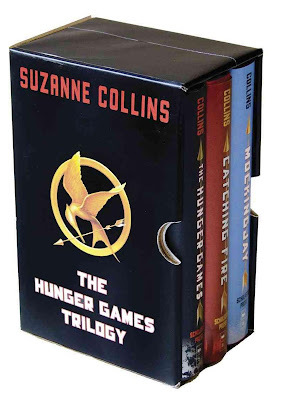 Of course, every fan of The Hunger Games should own all three of the books. 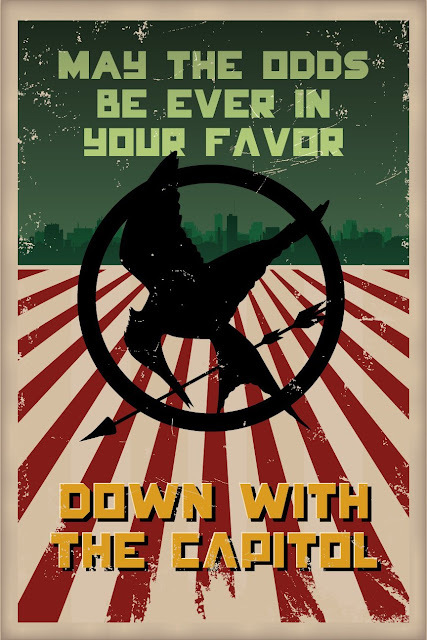 If for some reason your Hunger Games fan doesn't own his or her own copies, this would make a wonderful gift item. This is a book series that will be read more than once and become a permanent part of a book lover's library so I highly recommend the hardcover books, which are designed to hold up to repeated readings. Find it here on Amazon. Are you searching for the Hunger Games gifts? Do You Think The Hunger Games Should Be Lego Sets? Author's Note: This page relocated from another website.